Upcoming Event! 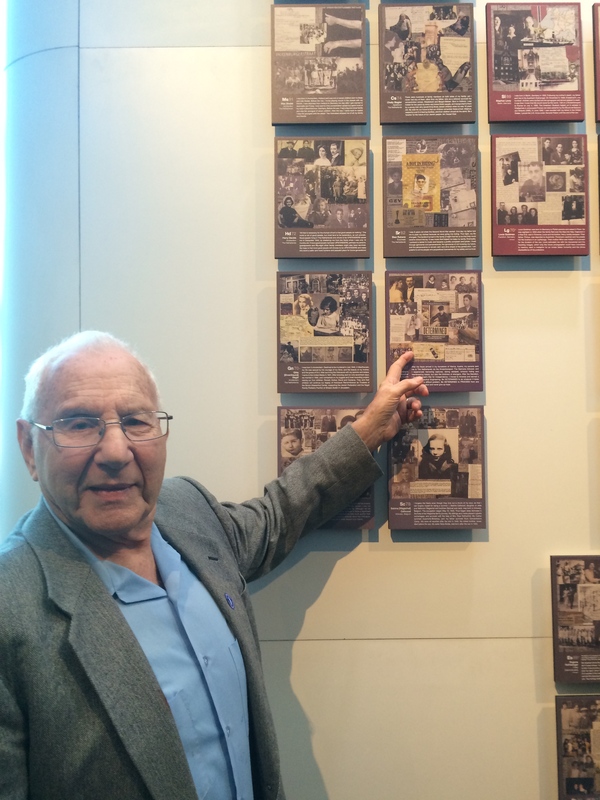 April 14, 2019: Dr. Avraham Perlmutter will share his inspirational life story at the Museum of Tolerance at 3:00 pm as part of the museum’s Holocaust Survivor speaker series. March 17, 2019: Dr. Avraham Perlmutter shared his inspirational life story at the Museum of Tolerance at 3:00 pm as part of the museum’s Holocaust Survivor speaker series. March 6, 2019: Dr. Avraham Perlmutter shared his inspirational life story with UCLA students as part of the university’s Bearing Witness program. 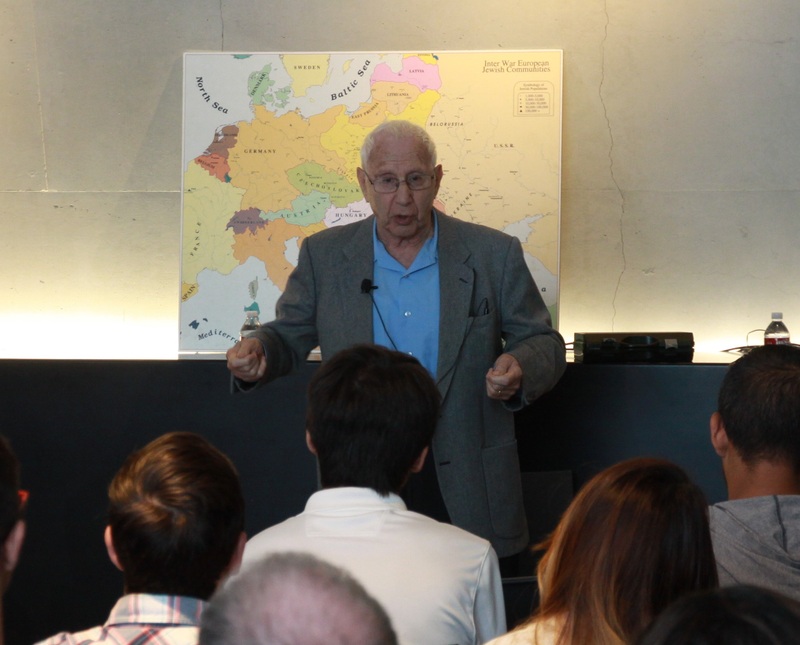 February 14, 2019: Dr. Avraham Perlmutter shared his remarkable life story with a group of high school students at the Los Angeles Museum of the Holocaust. February 10, 2019: Dr. Avraham Perlmutter shared his inspirational life story at the Museum of Tolerance as part of the museum’s Holocaust Survivor speaker series. February 6, 2019: Dr. Avraham Perlmutter shared his inspirational life story with UCLA students as part of the university’s Bearing Witness program. December 9, 2018: Dr. Avraham Perlmutter shared his inspirational life story at the Museum of Tolerance as part of the museum’s Holocaust Survivor speaker series. December 3, 2018: Dr. Avraham Perlmutter joined other Kindertransport survivors at the Los Angeles Museum of the Holocaust Annual Gala Dinner, which commemored the 80th anniversary of the Kindertransport. Dr. Perlmutter traveled on the Kindertransport from Vienna, Austria to the Netherlands on January 11, 1939. November 30, 2018: Dr. Avraham Perlmutter shared his incredible life story with 8th grade students of Ms. Wilson’s class at Lincoln Middle School. November 18, 2018: Dr. Avraham Perlmutter shared his remarkable life story at the Museum of Tolerance as part of the museum’s Holocaust Survivor speaker series. 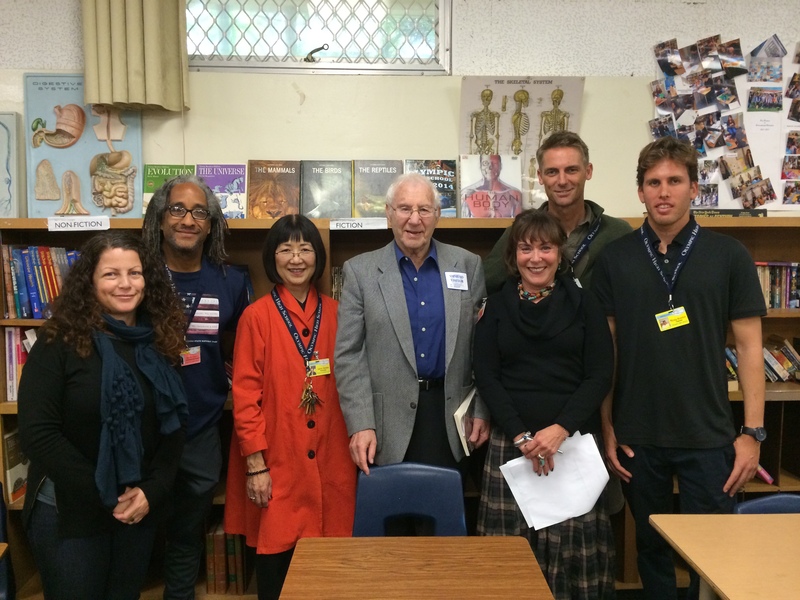 November 14, 2018: Dr. Avraham Perlmutter shared his inspirational life story with students at Brawerman Elementary School in Los Angeles, CA. October 28, 2018: Dr. Avraham Perlmutter shared his remarkable life story with Los Angeles Police Department cadets at the Museum of Tolerance. October 4, 2018: Dr. Avraham Perlmutter shared his inspirational life story with Ms. Whitley’s 5th grade class at Roosevelt Elementary School in Santa Monica, CA. October 3, 2018: Dr. Avraham Perlmutter shared his remarkable life story with the 7th and 8th grade students of Roy Romer Middle School (North Hollywood, CA) at the Los Angeles Museum of the Holocaust. September 16, 2018: Dr. Avraham Perlmutter shared his inspirational life story at the Museum of Tolerance as part of the museum’s Holocaust Survivor speaker series. August 5, 2018: Dr. Avraham Perlmutter shared his remarkable life story at the Museum of Tolerance as part of the museum’s Holocaust Survivor speaker series. July 24, 2018: Dr. Avraham Perlmutter shared his inspirational life story with the staff of the Jewish Federation of Greater Los Angeles. July 20, 2018: Dr. Avraham Perlmutter shared his inspirational life story at the Museum of Tolerance as part of the museum’s Holocaust Survivor speaker series. 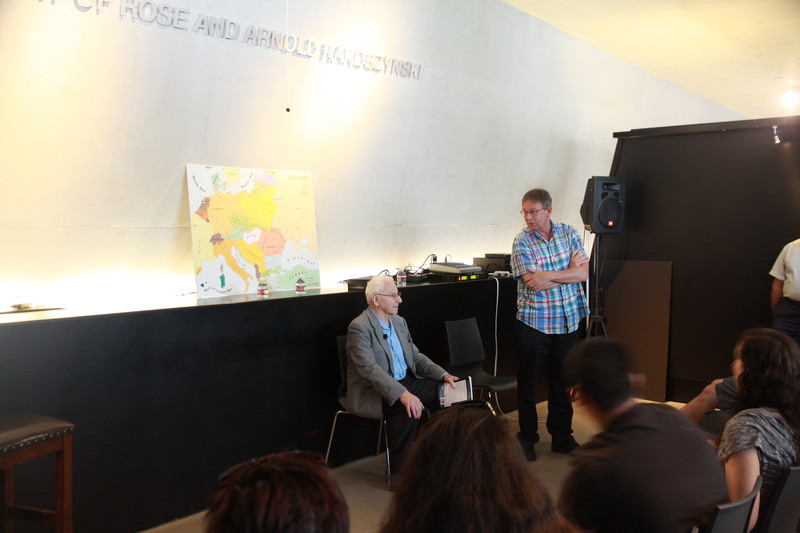 May 11, 2018: Dr. Avraham Perlmutter shared his remarkable life story with the students and teachers of Slauson Middle School (Asuza, Ca) and Pasadena City College at the Los Angeles Museum of the Holocaust. 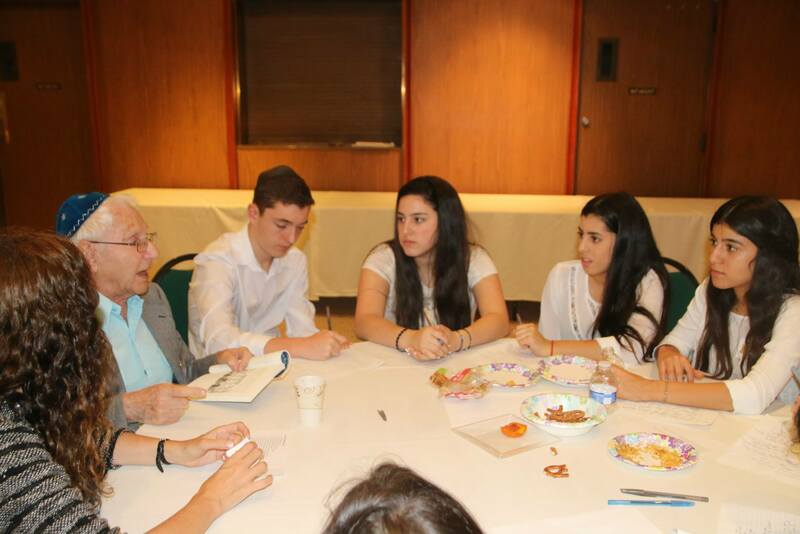 May 1, 2018: Dr. Avraham Perlmutter participated in the Memoir Project, a partnership between LAMOTH and Loyola Marymount University where students read and reflect on holocaust survivor narratives. “Determined” was selected as one of these narratives. March 21 2018: Dr. Avraham Perlmutter shared his inspirational life story with students at the Los Angeles Museum of the Holocaust. March 11, 2018: Dr. Avraham Perlmutter shared his remarkable life story at the Museum of Tolerance as part of the museum’s Holocaust Survivor speaker series. February 28, 2018: Dr. Avraham Perlmutter shared his inspirational life story with students at the Los Angeles Museum of the Holocaust. February 25, 2018: Dr. Avraham Perlmutter shared his remarkable life story at the Museum of Tolerance as part of the museum’s Holocaust Survivor speaker series. February 21, 2018: Dr. Avraham Perlmutter shared his inspirational life story with students at Agoura High School. 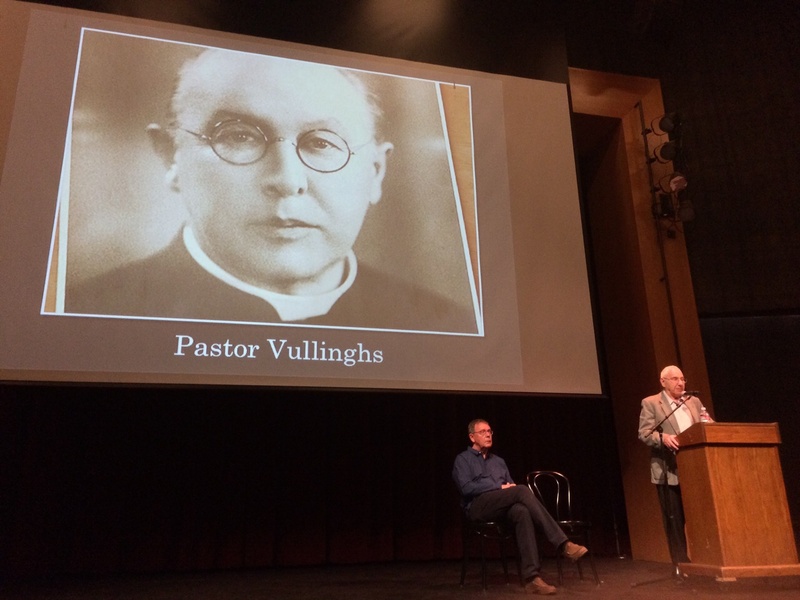 The audience included his grandson Zachary and his granddaughter Rachel, who attends the school and delivered an excellent introduction of her grandfather. 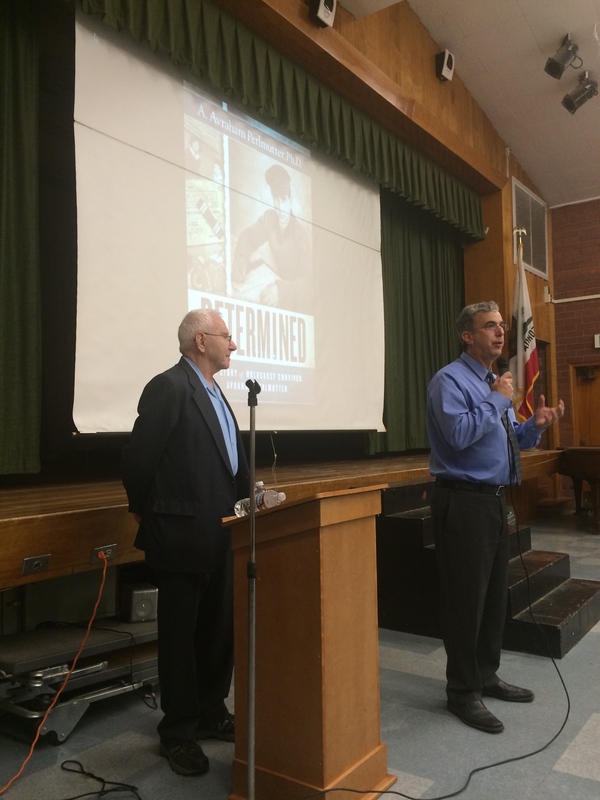 February 2, 2018: Dr. Avraham Perlmutter shared his inspirational life story with students at Lincoln Middle School in Santa Monica. January 30, 2018: Dr. Avraham Perlmutter shared his inspirational life story at Sinai Temple in conjunction with the viewing of “SHOAH: How was it Humanly Possible?” an exhibit coordinated by the American Society of Yad Vashem. December 3, 2017: Dr. Perlmutter shared his inspirational story at the Museum of Tolerance as part of its Holocaust Survivor Speaker series. He spoke to a large crowd that included educators as well as members of a boys camp from Sequoia National Park. 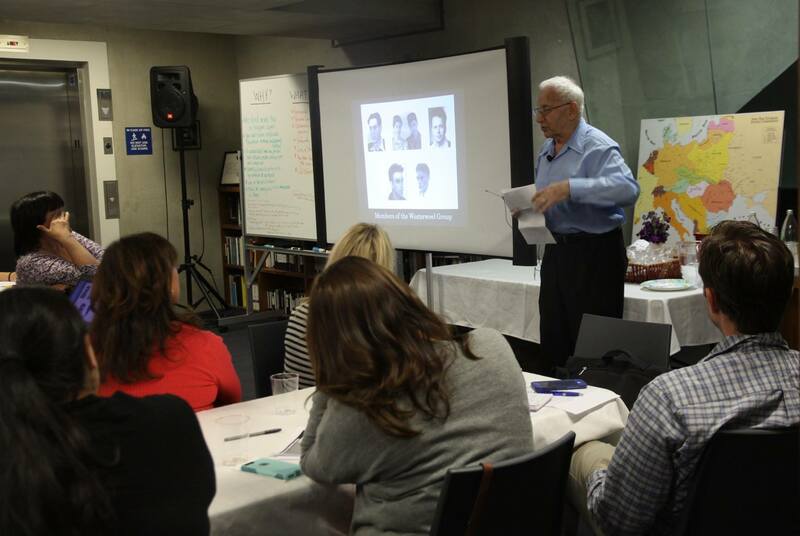 November 15, 2017: Dr. Avraham Perlmutter shared his inspirational life story with the students and teachers of Lakeview Leadership Academy’s 8th grade class (Victorville, California) at the Los Angeles Museum of the Holocaust..
October 22, 2017: Dr. Perlmutter shared his remarkable story at the Museum of Tolerance as part of its Holocaust Survivor Speaker series. October 13, 2017: Dr. Avraham Perlmutter shared his inspirational life story with students of Portola Middle School in Tarzana. Thank you to teacher Nancy Rattner and her students for such a wonderful welcome! .September 24, 2017: Dr. Perlmutter shared his inspirational story at the Museum of Tolerance as part of its Holocaust Survivor Speaker series. September 15, 2017: Dr. Perlmutter’s daughter Keren shared his inspirational life story with students at the het Bouwens school in the Netherlands. September 14, 2017: The presentation of “MOED,” the Dutch edition of Dr. Perlmutter’s autobiography, took place at the National Holocaust Museum in Amsterdam during the ‘Hiding in Limburg’ symposium. With the book as the thread, researcher Miriam Keesing gave a lecture on the Kindertransport from Germany and Austria to the Netherlands in the late 1930s and historian Herman van Rens and his wife Annelies gave a lecture about resistance and hiding in Limburg. President David Simon of Yad Vashem of the Netherlands spoke beautiful words about tolerance, one of the goals of his organization, and of the importance of involving the youth in this objective. Video from Dr. Perlmutter’s Shoah Testimony was played as was a speech in Dutch that he filmed specifically for the event.Dr. Perlmutter’s daughter Keren Perlmutter and her cousin Michel Hirschberg, whose mother survived Auschwitz, flew in from the United States to attend and speak at the presentation together with the Beijers family. August 28, 2017: The Dutch edition of Dr. Perlmutter’s autobiography, “Moed: Het Levensverhaal van Holocaust Overlevende Avraham Perlmutter” is published! August 13, 2017: Dr. Perlmutter shared his remarkable story at the Museum of Tolerance as part of its Holocaust Survivor Speaker series. June 26, 2017: Dr. Perlmutter shared his inspirational story with students attending the Righteous Conversations Project workshop at Harvard-Westlake High School. June 14, 2017: Dr. Perlmutter was pleased to attend the American Friends of Yad Vashem/The Jewish Life Foundation Benefit Gala with his daughter Keren (pictured) and Emma Beijers, the great-granddaughter of the courageous couple who hid Avraham for over a year in the village of Grubbenvorst in the Netherlands. June 4, 2017: Dr. Perlmutter shared his remarkable story at the Museum of Tolerance as part of its Holocaust Survivor Speaker series. 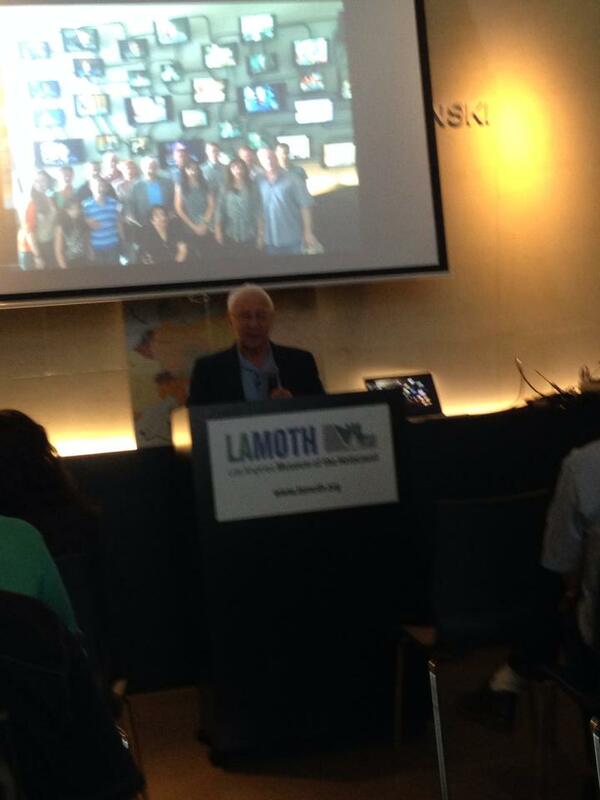 May 3, 2017: Dr. Perlmutter participated in the Memoir Project, a partnership between LAMOTH and Loyola Marymount University where students read and reflect on holocaust survivor narratives. “Determined” was selected as one of these narratives. April 23, 2017: Dr. Perlmutter shared his inspirational life story at the Museum of Tolerance. He was joined by Henk Beijers, the grandson of the courageous couple who hid Avraham from the Nazis for over a year in Grubbenvorst, Netherlands, as well as Henk’s daughter, Emma. March 22, 2017: Scenes from the life story of Dr. Avraham Perlmutter were performed in the play “Voices of Survivors,” created by Santa Monica High School students. Shown below (from left to right): Dr. Perlmutter with the other survivors featured in the play, with some of the cast members in the play, and signing his autobiography after the performance. March 19, 2017: Dr. Perlmutter shared his remarkable story at the Museum of Tolerance as part of their Holocaust Survivor Speaker series. February 19, 2017: Dr. Perlmutter shared his fascinating story at the Museum of Tolerance as part of its Holocaust Survivor Speaker series. He was joined by Emma Beijers, the great-granddaughter of the courageous couple who hid Avraham for over a year in the village of Grubbenvorst in the Netherlands. January 29, 2017: Dr. Perlmutter shared his inspirational story at the Museum of Tolerance as part of itsHolocaust Survivor Speaker series. December 11, 2016: Dr. Perlmutter shared his remarkable story at the Museum of Tolerance as part of its Holocaust Survivor Speaker series. October 30, 2016: Dr. Perlmutter shared his remarkable story at the Museum of Tolerance as part of its Holocaust Survivor Speaker series. September 25, 2016: Dr. Perlmutter shared his remarkable story at the Museum of Tolerance as part of its Holocaust Survivor Speaker series. September 18, 2016: Dr. Perlmutter shared his inspirational story at the Los Angeles Museum of the Holocaust. July 24, 2016: Dr. Perlmutter shared his remarkable story at the Museum of Tolerance as part of its Holocaust Survivor Speaker series. May 31, 2016: Dr. Perlmutter shared his inspirational life story with 7th grade students from Magnolia Science Academy 5 School (Reseda, Ca). 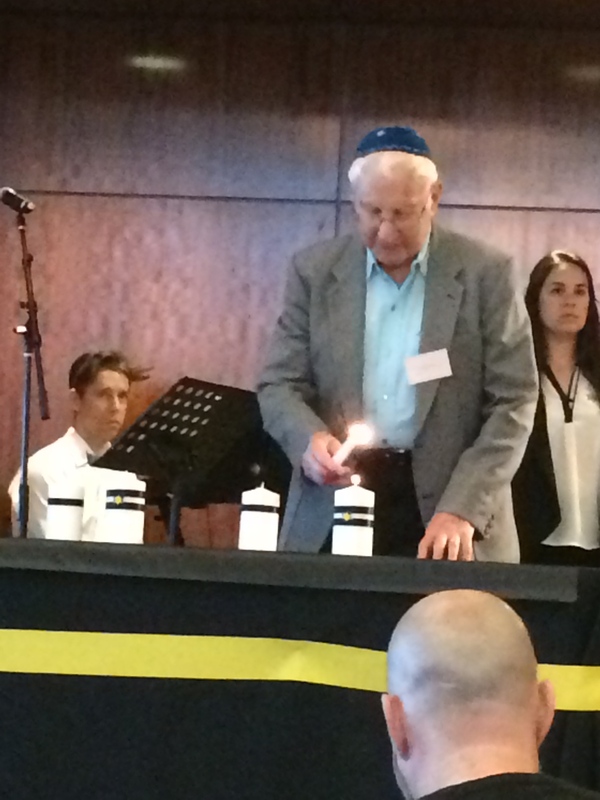 May 14, 2016: Dr. Perlmutter’s first cousin, Hijmie Bachrach, who was killed in Auschwitz in 1943 at the age of 7, was honored at a bar mitzvah as part of the Los Angeles Museum of the Holocaust’s “twinning” program where Bnai Mitzvah children are paired with children who died in the Holocaust. Dr. Perlmutter, who fondly remembers Hijmie and his family from his time living in the Netherlands, was very pleased to share in this celebration of his cousin. Here is a Jewish Journal article about the event. 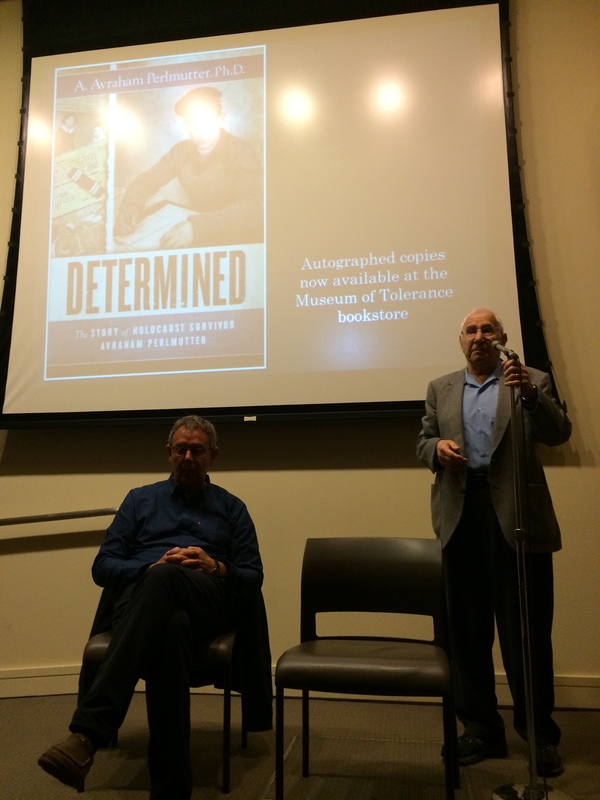 May 2, 2016: Dr. Perlmutter spoke to students of Loyola Marymount University as part of a special program at the Los Angeles Museum of the Holocaust where the students read and then share thoughts on various holocaust survivor memoirs (including Dr. Perlmutter’s book, “Determined”). 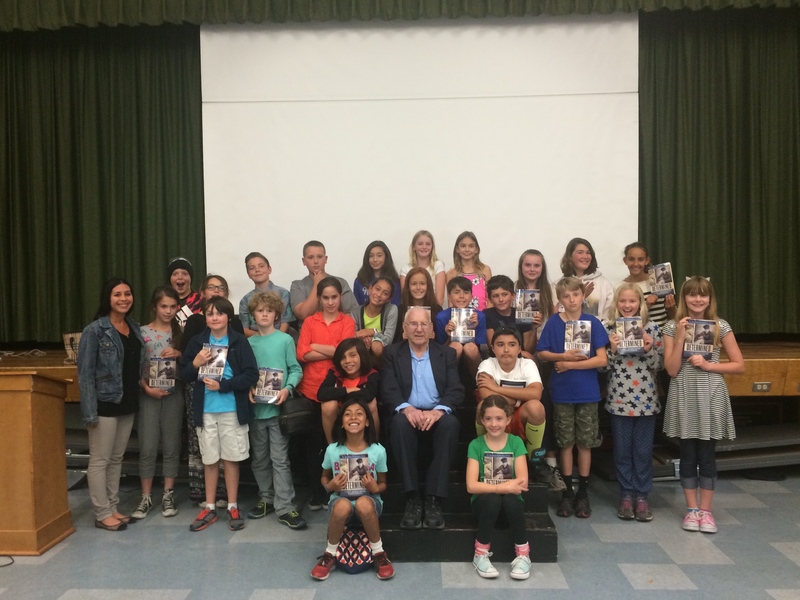 April 28, 2016: Dr. Perlmutter shared his inspirational life story with students at Emerson Middle School in Los Angeles. He was joined by Emma Beijers, the great-granddaughter of the courageous couple who hid Avraham for over a year in the village of Grubbenvorst in the Netherlands. April 25, 2016: Dr. Perlmutter shared his inspirational life story with students from Upland High School at the Los Angeles Museum of the Holocaust. He was joined by Henk Beijers, the grandson of the courageous couple who hid Avraham from the Nazis for over a year in Grubbenvorst, Netherlands, as well as Henk’s daughter, Emma. 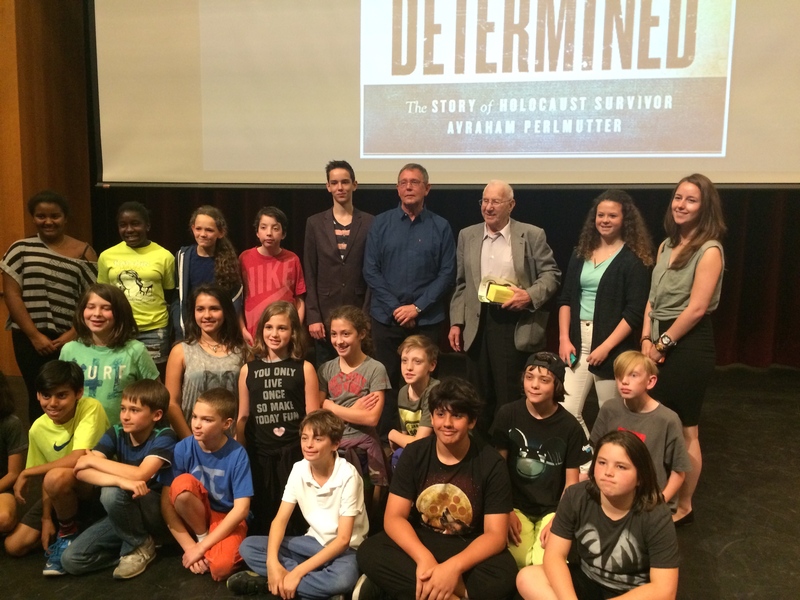 April 17, 2016: Dr. Perlmutter shared his remarkable story at the Museum of Tolerance as part of its Holocaust Survivor Speaker series. 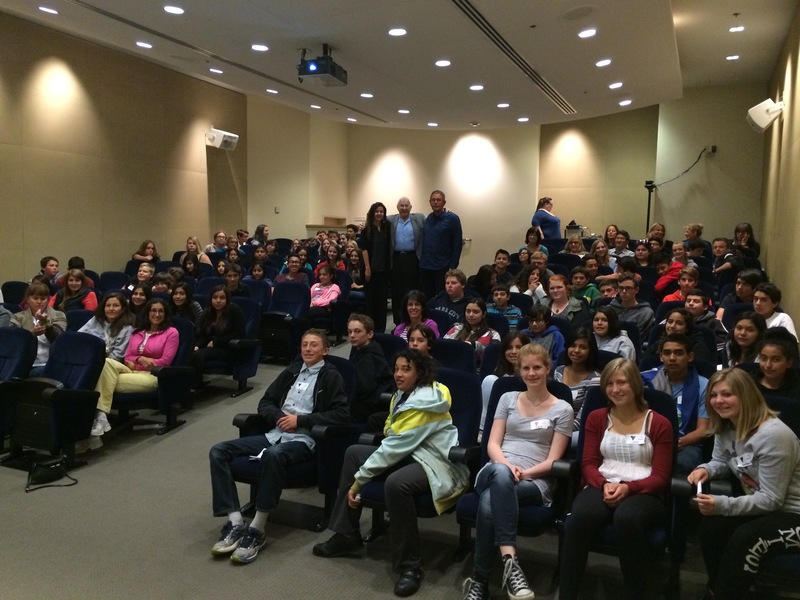 March 24, 2016: Dr. Perlmutter shared his story with students from Rio Hondo Preparatory School (Arcadia, California) at the Los Angeles Museum of the Holocaust. March 21, 2016: Dr. Perlmutter shared his inspirational life story while baking hamentaschens with 8th grade students at Harkham Hillel Hebrew Academy. March 20, 2016: Dr. Avraham Perlmutter shared his inspirational life story at the Museum of Tolerance as part of their Holocaust Survivor Speakers Series. March 18, 2016: Dr. Perlmutter shared his story with students from Liberty High School (Madera, California) at the Los Angeles Museum of the Holocaust. February 28, 2016: Dr. Avraham Perlmutter shared his inspirational life story at the Museum of Tolerance as part of their Holocaust Survivor Speakers Series. January 31, 2016: Dr. Avraham Perlmutter shared his inspirational life story at the Museum of Tolerance as part of their Holocaust Survivor Speakers Series. December 6, 2015: Dr. Avraham Perlmutter shared his inspirational life story at the Los Angeles Museum of the Holocaust. November 22, 2015: Dr. Avraham Perlmutter shared his inspirational life story at the Museum of Tolerance as part of their Holocaust Survivor Speakers Series. November 9, 2015: . Today, on the 77th anniversary of Kristallnacht, Dr. Avraham Perlmutter shared his inspirational life story with students at Loyola Law School. Click here for more details. 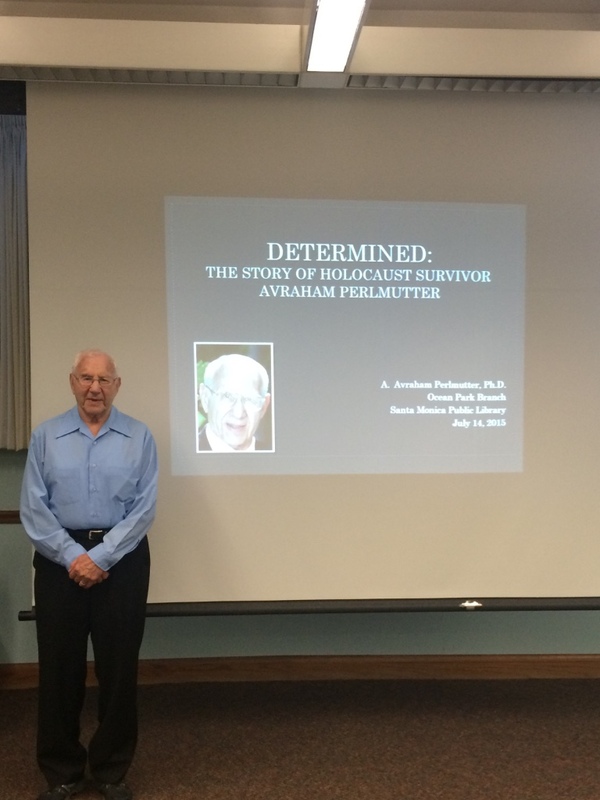 November 6, 2015: Dr. Avraham Perlmutter shared his inspirational life story with the group of teachers who attended the 2015-2016 Holocaust Education Institute, a joint program with the Los Angeles Museum of the Holocaust, the ADL – Anti-Defamation League and the Museum of Tolerance. 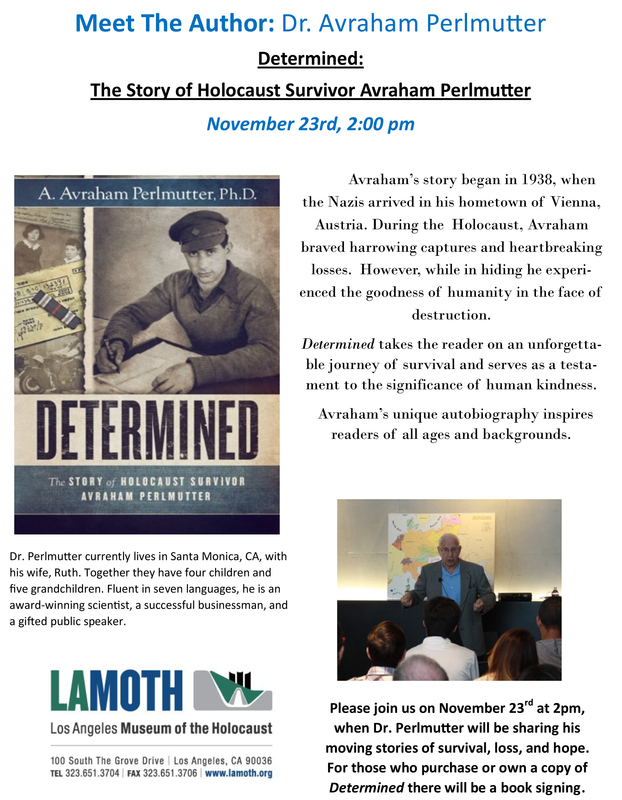 October 25, 2015: Dr. Avraham Perlmutter shared his inspirational life story at the Los Angeles Museum of the Holocaust. October 1, 2015: Dr. Avraham Perlmutter shared his life story at the Museum of Tolerance as part of their Holocaust Survivor Speakers Series. August 9, 2015: Dr. Avraham Perlmutter shared his remarkable life story at the Museum of Tolerance as part of their Holocaust Survivor Speakers Series. 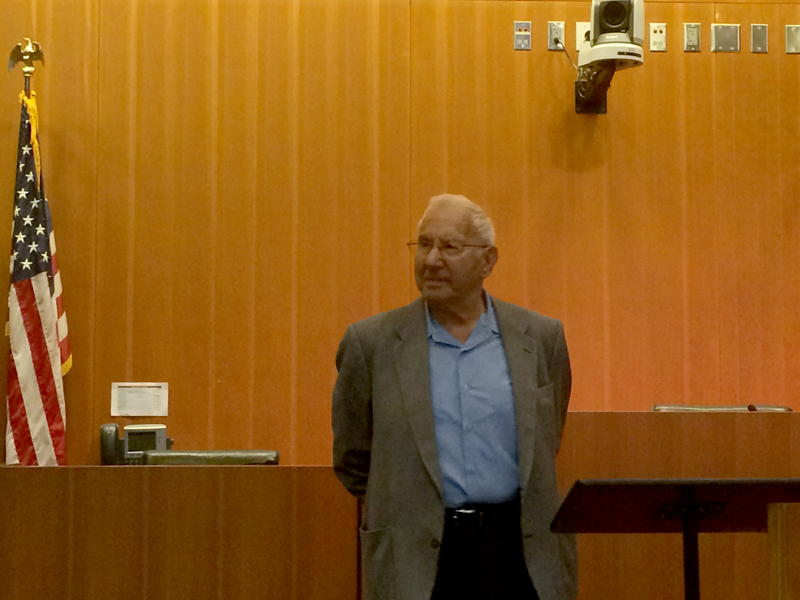 August 7, 2015: Dr. Avraham Perlmutter shared his inspirational life story with the Rotary Club of Santa Monica. 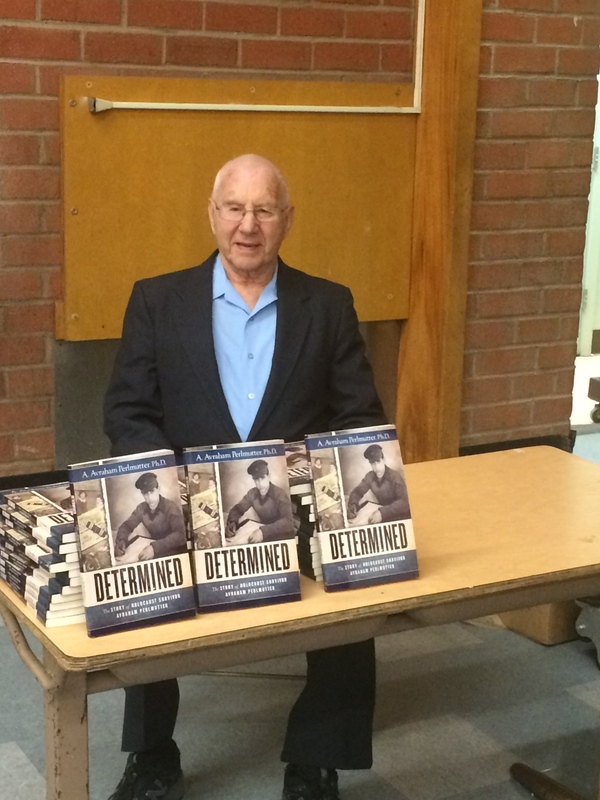 July 14, 2015: Dr. Avraham Perlmutter gave an author talk and held a book signing at the Ocean Park branch of the Santa Monica Public Library. The Santa Monica Daily Press provides for more details. July 12, 2015: Dr. Avraham Perlmutter shared his inspirational life story to a packed room at the Los Angeles Museum of the Holocaust. See the LAMOTH facebook post for more details. May 15, 2015: Dr. Avraham Perlmutter shared his story with over 100 students from the Mammoth Lakes area of California at the Museum of Tolerance. He was joined by Henk Beijers, the grandson of the courageous couple who hid Avraham from the Nazis for over a year in Grubbenvorst, Netherlands. 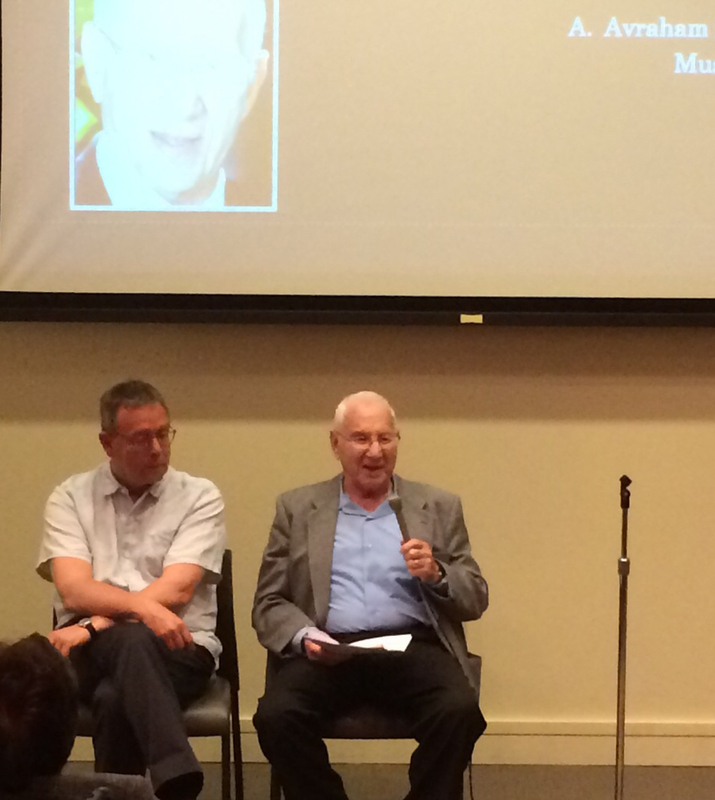 April 30, 2015: Dr. Avraham Perlmutter shared his story with over 200 students at New Roads School in Santa Monica. He was joined by Henk Beijers, the grandson of the courageous couple who hid Avraham from the Nazis for over a year in Grubbenvorst, Netherlands. Also present were Henk’s children, Emma and Guus, and his niece, Lieve. “ There simply aren’t words adequate enough to tell you all how grateful I am. Our kids were absolutely mesmerized by your story, Dr. Perlmutter, and EVERYone here has been spending the last hour talking about your presentation. I have never seen a standing ovation for one of our speakers before. Your message was inspiring to all of us, but I think your achievements and accomplishments are even more so. The fact that you were mobbed afterwards by teachers and kids alike tells you how valuable your words were and how powerfully your story resonated with us. It was truly a gift to us all that you shared yourself and your experiences with us. Especially at a time when there is violence in so many parts of the world, including our own part, your words were so meaningful to everyone here. April 26, 2015: Avraham attended the special reception to inaugurate the Human Element Project art exhibit at the Museum of Tolerance. The exhibit consists of 129 collages, each documenting memories and stories of a holocaust survivor’s life. Avraham created one of these collages. Additional information and a close-up of his collage is provided here. April 26, 2015: Avraham shared his inspirational life story with visitors of the Museum of Tolerance. Henk Beijers, the grandson of the courageous couple, Peter and Getrude Beijers, who hid him for over a year in Grubbenvorst, Netherlands, shared additional insights with the crowd. Many family members of both the Perlmutter and Beijers families were also in attendance. Avraham ensured that the Beijers were awarded the title of “Righteous Among the Nations” in 1994. 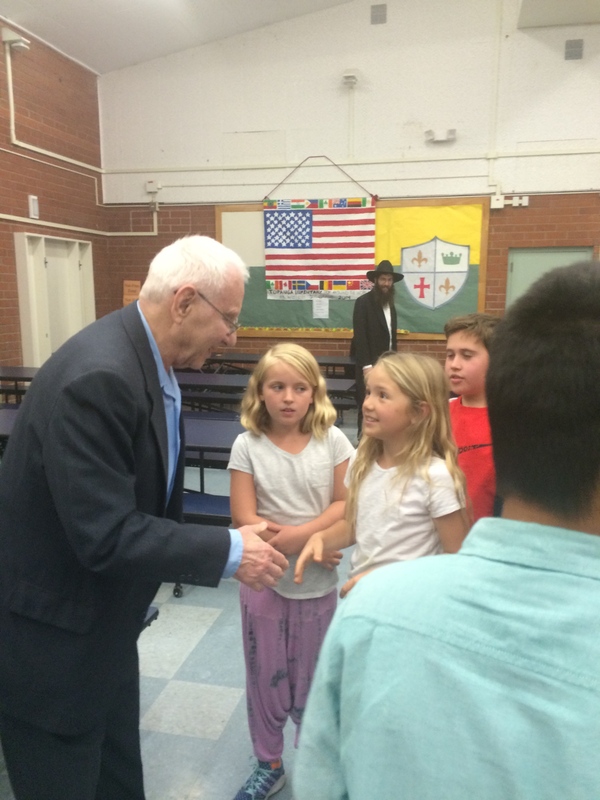 April 20, 2015: Avraham shared his life story at Topanga Elementary. All of Miss Saporta’s 5th grade students are currently reading his book as part of their coursework! 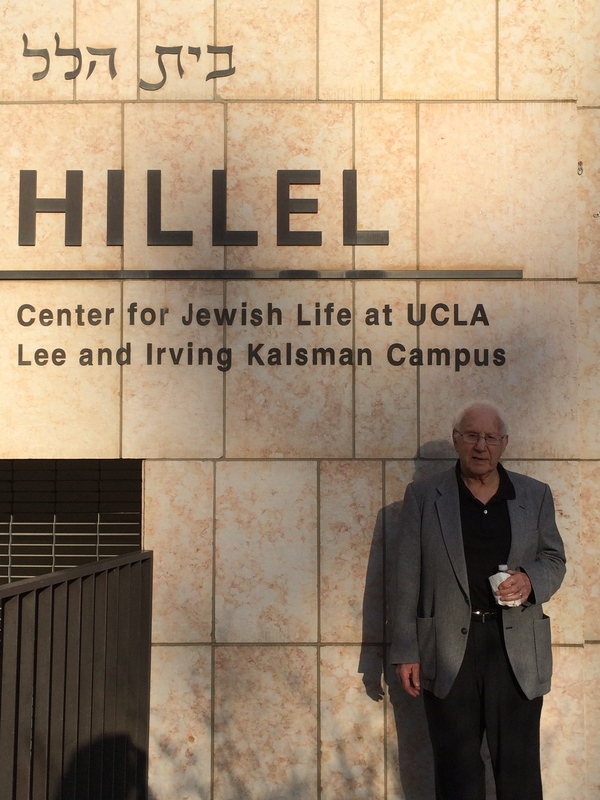 April 14, 2015: Avraham spoke to students at UCLA Hillel and shared his life story. 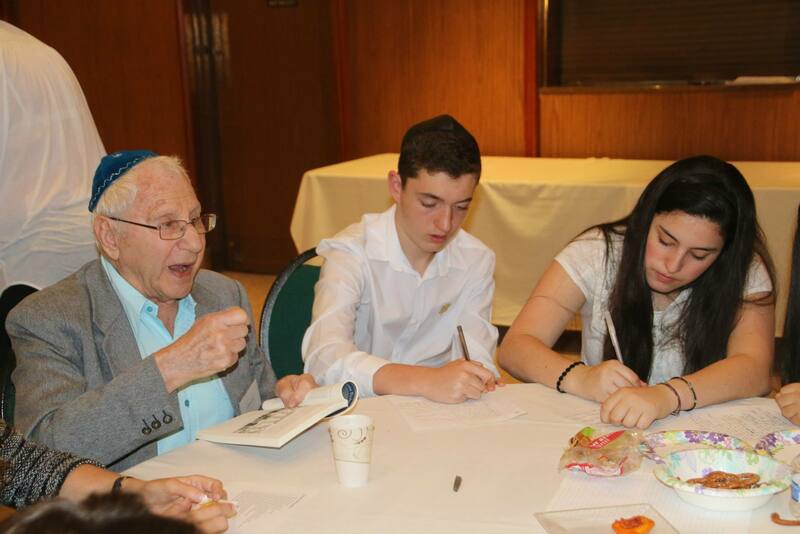 April 12, 2015: Avraham shared his inspirational life story with students and their families at Sinai Akiba Academy at their special Holocaust Community Program. As part of the program, the students recorded his story for a school assignment. Avraham also lit a candle in memory of the millions who died during this dark period in history. 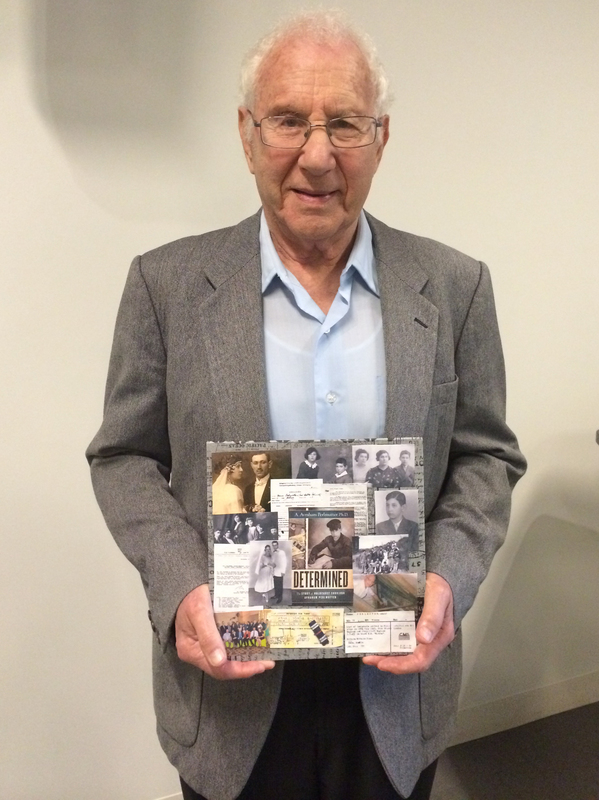 March 22, 2015: Avraham shared his life story at the Museum of Tolerance (a Simon Wiesenthal Center Museum). He spoke to a crowded room that included Avraham’s grandson Josh (in purple) and some of Josh’s high school classmates. 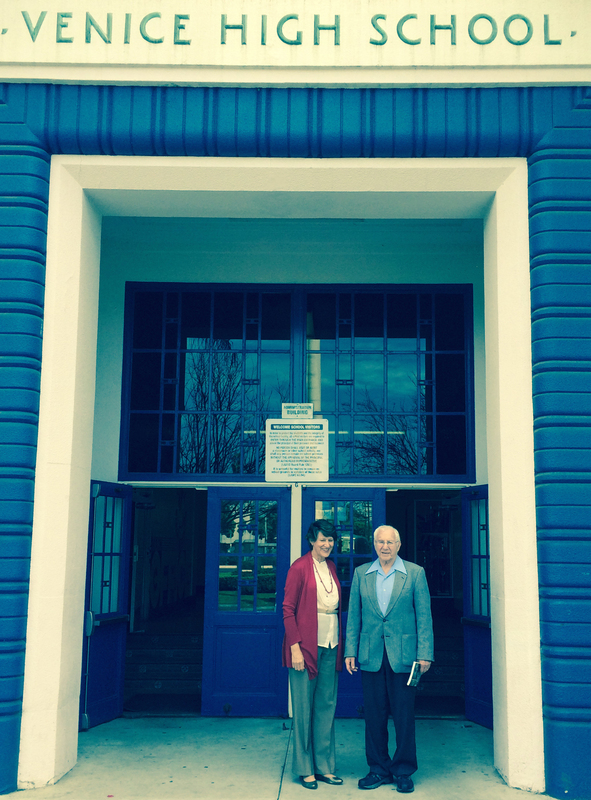 February 11, 2015: Talk at Venice High School. Avraham shared his inspirational story with a packed auditorium of about 1000 students. 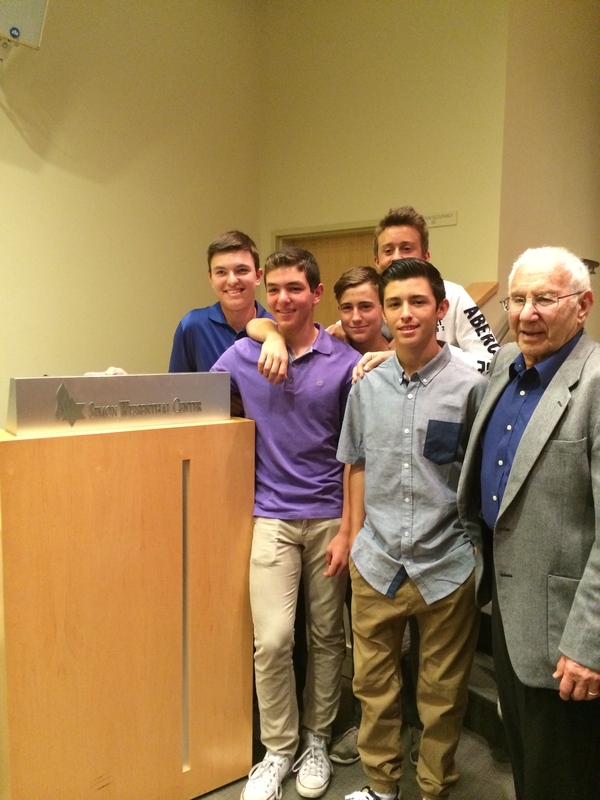 February 8, 2015: Talk at the Museum of Tolerance as part of the museum’s Holocaust Survivor speaker series. December 10, 2014: Talk at Olympic High School in Santa Monica to the entire school. Both students and teachers alike were inspired by Avraham’s story to be determined to achieve an education and to overcome obstacles to pursue their dreams. Avraham with Janie Gates, the principal of Olympic High School, and with several of the school’s teachers. 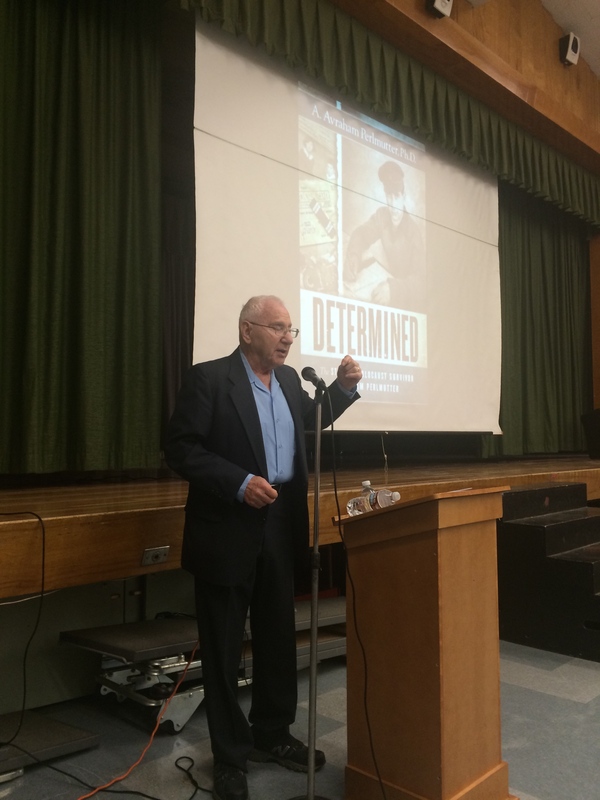 December 8, 2014: Talk at John Adams Middle School in Santa Monica to about 60 8th graders. Avraham shared his story and inspired the students to continue their education and to be determined to overcome obstacles in their lives. Avraham participated in creating a collage documenting important memories and stories of his life. This will be one of 129 collages designed to fit into a final installation replicating the Periodic Table of the Elements. An opening reception to celebrate the new art exhibit will be held at the Museum of Tolerance in April 2015 in honor of Yom Hashoah, Holocaust Remembrance Day. Avraham inspired a large crowd with his talk about his life. A book signing and reception followed the event. Additional photos and a video of the event are forthcoming. 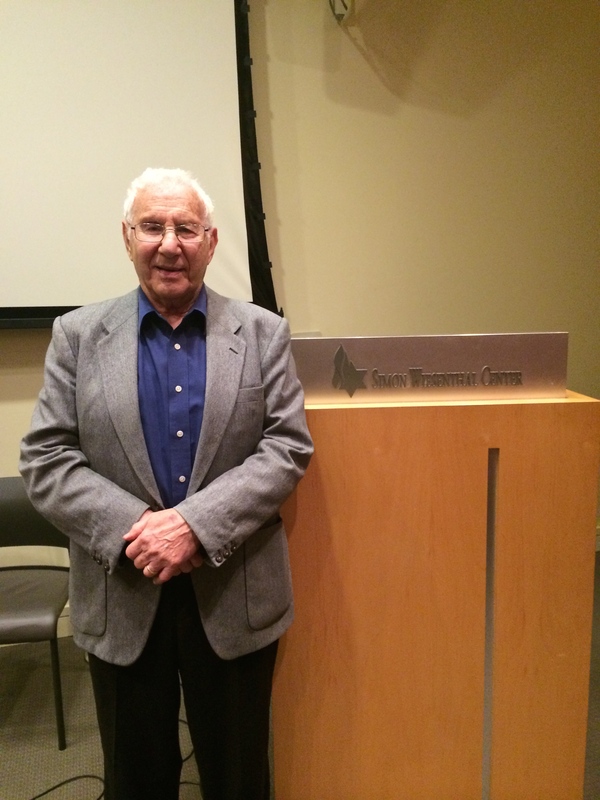 October 22, 2014: Talk at the Los Angeles Museum of the Holocaust. Both Avraham Perlmutter and Henk Beijers (the grandson of the family that hid him for over a year in the Netherlands) spoke to the crowd. Henk’s family also attended this inspirational event.